The seller labelled it Clypeaster eurychorius, but I had some doubt, if the taxon was correct. 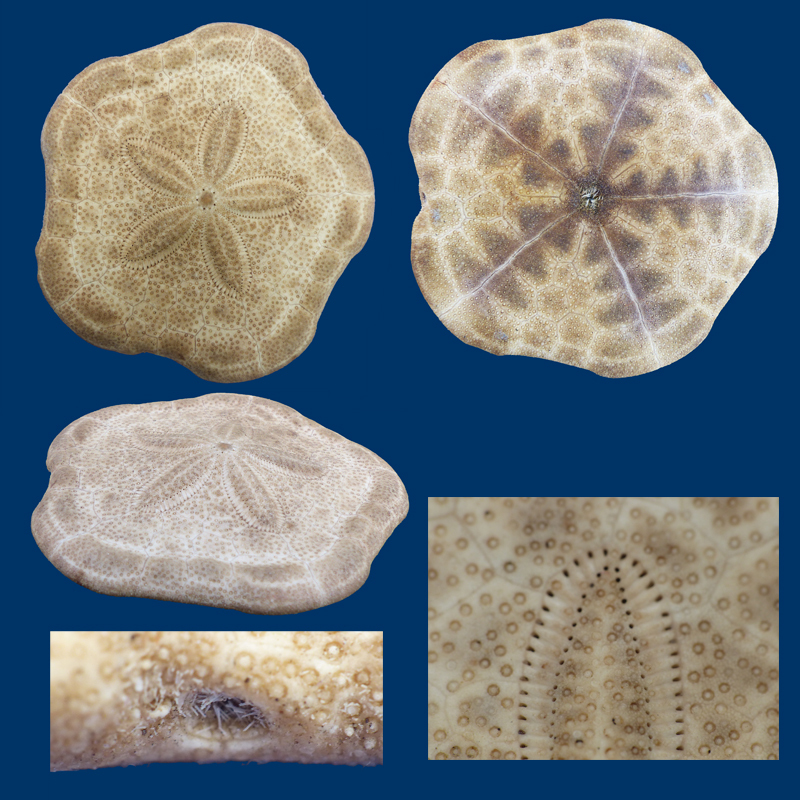 According to Heinke Schultz, Sea Urchins II, pages 539 and 540, C. eurychorius has open petals. In the specimen shown above they are definitely closed. This fits better with Clypeaster rarispinus de Meijere 1902 (Sea urchins II, page 550 and Mortensen, A Monograph of the Echinoidea, IV.2, Clypeasteroida, page 58 ff.). The distal plates are thickened (not a constant feature), the ridges between the pore-pairs have only a single (or none) tubercle, On the oral side there is a double series of brown, mainly triangular spots along the the ambulacral furrows.